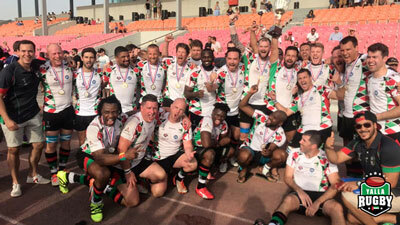 In a meeting of one of the UAE’s newest clubs and one with 40 years of history, it was the Dubai Tigers in just their fifth year in existence who claimed their first major XVs honours after a thrilling extra time win. 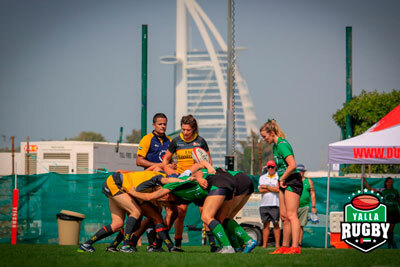 Having held on to a slender 20-17 advantage for much of the second period in the face of a feocious Sharjah onslaught, the game was sent to extra time by a late Ryan Flaherty penalty. With the game to be settled by a first score wins ‘golden point’ rule, Flaherty then had the first chance to settle the outcome in extra time but on this occasion his attempt drifted wide. 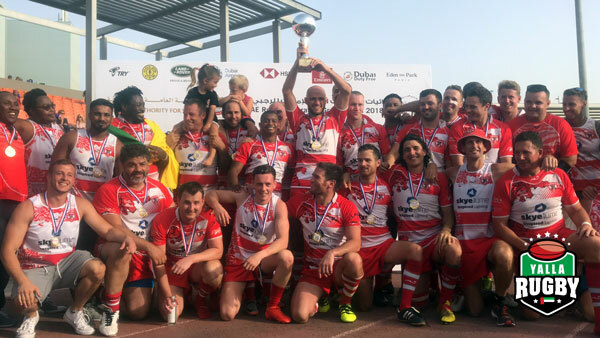 The end when it did come was somewhat out of the blue, an innocuous looking punt downfield was allowed to bounce by the covering Sharjah Wanderers players, pivoting wickedly in to the arms of an onrushing Joe Barratt. In the melee that ensued, Pete Kelly’s outstretched arm was able to ground the ball, sending Tigers players into delirium. Played out on a day where the mercury topped 33c at Sports City, the game was characterised by a contrast in styles between the Wanderers whose gameplan was built around set piece ascendency and a Tigers side who looked more threatening in broken field play with Liam Caldwell and Brian Odonga combining in the wide channels. 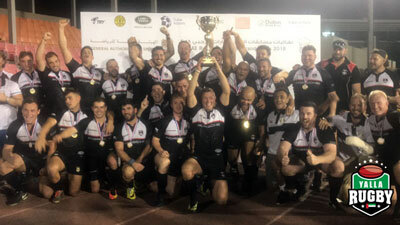 Sharjah’s scrum dominance, anchored by David Lee and Garry Hanley, could well have been the decisive factor on another day, with a series of splintering drives early in the second half yielding a succession of penalties, two Tigers yellow cards and a penalty try to level the game at 17-17. It is a testament to the character of a Tigers side who had not tasted defeat since playing away to Sharjah back in November, that they were able to win the ensuing period where they were down to 13 men 3-0 curtesy of a Jack Simmons nudge set up by a 30 yard trundle from Gary Saitola. 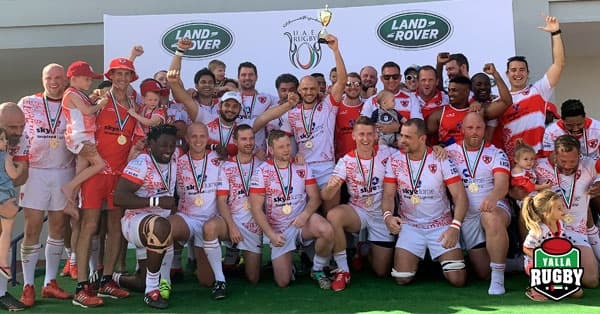 A series of Sharjah attacks could amount to nothing more than three points, their most fluent move seeing Fabrizio D’Amico held up over the line, with each turnover being cheered as if it were a try by a vocal Tigers supporting contingent. There had been little to split the teams throughout the contest, two early scores cancelling each other out, Sharjah going ahead after an opportunistic grubber kick off the back of a scrum again the head catching Tigers unawares and allowing Mike Gormley to slide in. That lead was soon cancelled out by a score from Mark O’Donnell after a trademark powerful charge by loose-head Azmat Niazi whose early departure due to injury looked to have an influence on the one sided nature of the scrum contest. The two sides then traded penalties before a piece of individual brilliance from Shane Gibbons sent Tigers into the lead at half time, the fullback gathering his own chip kick ahead to score. Crucially given what was to follow captain Caldwell’s conversion deflected in after striking the left upright. 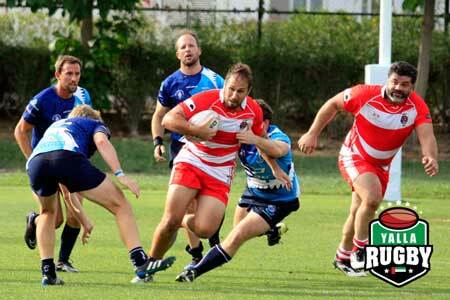 We bring you all of this weekend’s UAE Rugby action and we name Yalla Rugby’s team of the week. 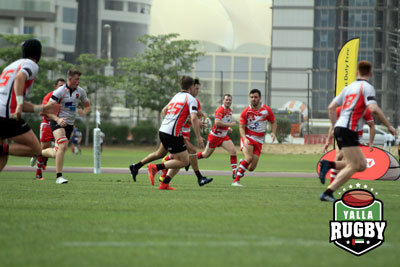 We go in to the Conference again for our team of the week, with Dubai Tigers taking the accolade after recording a third straight win. 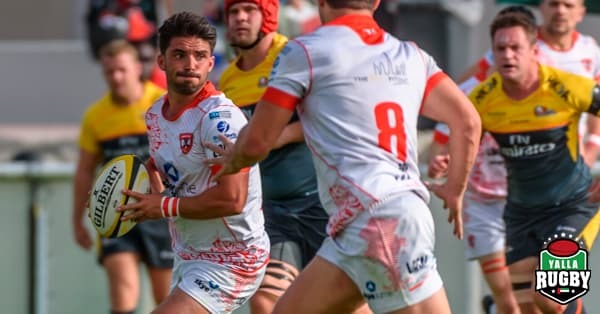 The Sevens has been a particularly happy hunting ground for the Tigers in recent weeks with back-to-back away wins and if the 8-7 victory over Exiles 2s could have gone away this weekend’s 45-10 triumph over Hurricanes 2s was comprehensive. 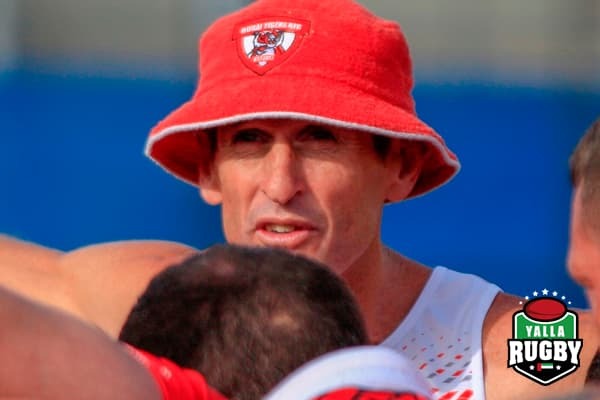 The performance is particularly notable, coming as it did against a Hurricanes side high on confidence after putting 100+ points on the board across their previous two games. Having finishing last season on a high by winning the bottom half, Tigers have clearly carried this momentum into the new campaign and sit third in the table just a point behind Abu Dhabi Harlequins 2s. 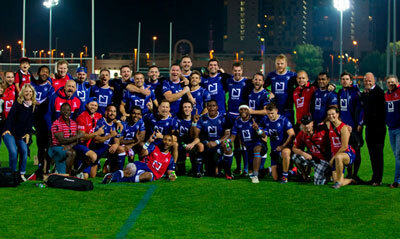 A Dubai derby double bill at the Sevens this weekend saw wins for Jebel Ali Dragons and Dubai Hurricanes. 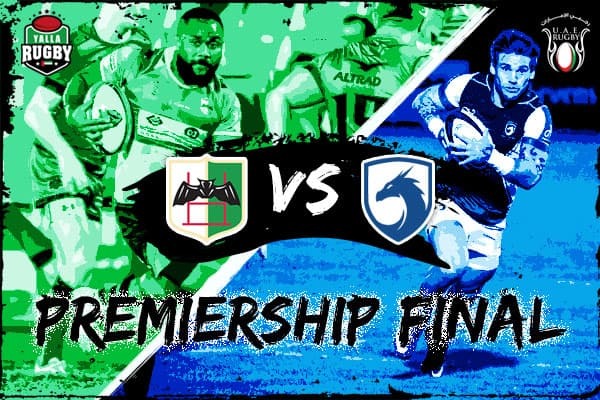 The Dragons edged out Exiles 23-18 in a close fought contest, while the Hurricanes 28-12 win over the Eagles indicates that the newcomers are already quickly getting up to speed with life in the Premiership. 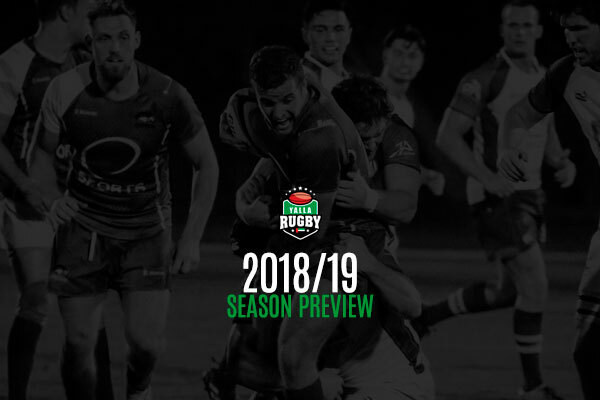 The competitive nature of this year’s Conference is demonstrated by the fact only one side boast an unbeaten record at this early point in the season. 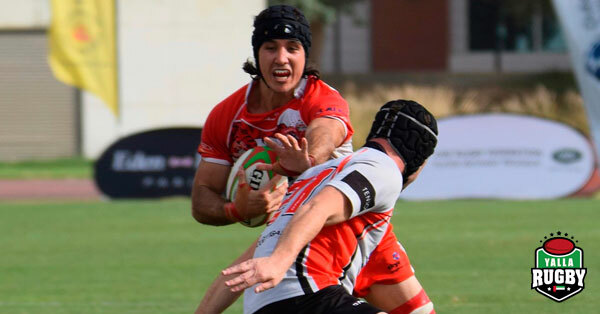 Sharjah Wanderers maintained their 100% record with a 40-5 win over Arabian Knights, who remain without a point, but have to settle for second in the standings behind Abu Dhabi Harlequins 2s who themselves enjoyed a convincing 43-9 win over Jebel Ali Dragons 2s. 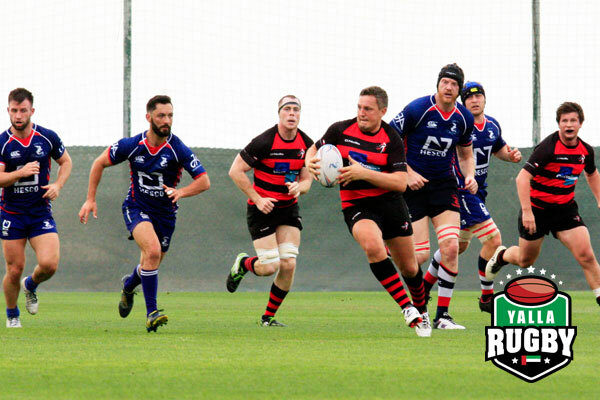 Our team of the week Dubai Tigers are on a three game winning streak and up to third off the back of an impressive 45-10 win over Hurricanes 2s while Al Ain Amblers broke their duck for the season, in a characteristically high scoring affair 54-15 over Dubai Sharks. 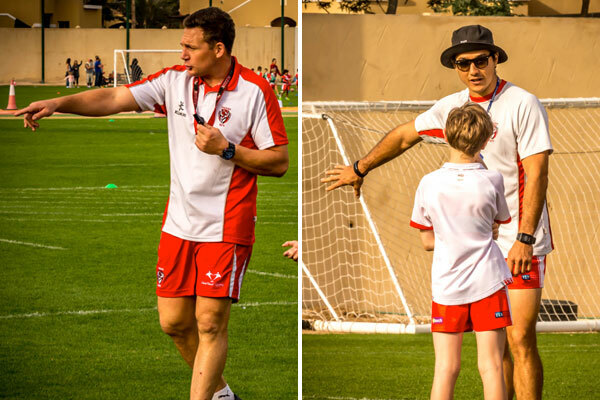 Heartbeat Sports Tigers Rugby Club is set to make a push across all its rugby with major signings in their coaching set up. Aaron Persico, with over 50 Test Caps and 2 World Cups under his belt as a player, is a major signing for Tigers. 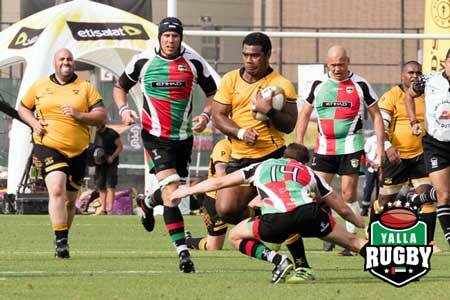 The New Zealand national of Italian heritage played for Italy debuted in 2000. 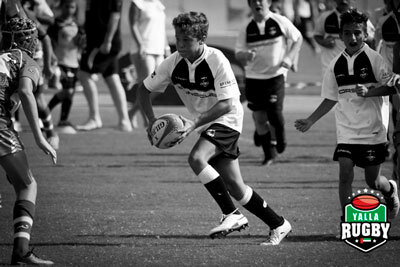 During this time he competed at the 2003 & 2007 World Cups and was capped 5 times for the Barbarians. Persico has played professional in New Zealand, Italy, Britain and France including 73 Heineken Cup matches. 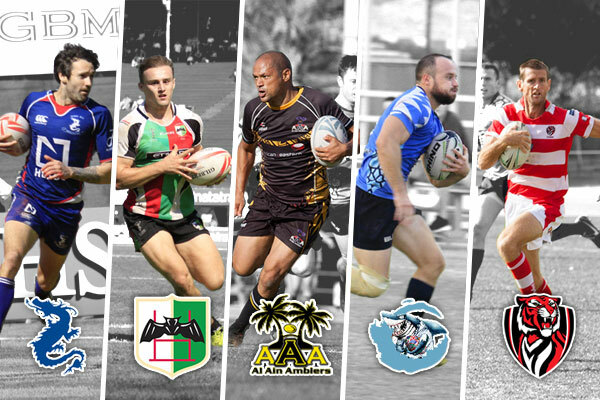 Persico has also been involved with the New Zealand High Performance Academy. Jaime Clarke has also joined Tigers as a coach. Clarke, who is no stranger to gulf rugby captained both Abu Dhabi Harlequins and Doha in his career and debuted for the UAE National side in 2011. 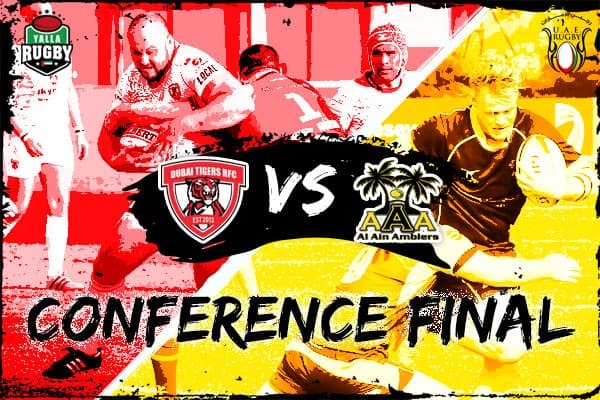 You can catch the Tigers Rugby Club this Friday when they take on the Dubai Sharks in the UAE Conference B5 Final fixture which kicks off at 3:00pm at Sports City ground.